What women watch on YouTube goes well beyond the realms of beauty and parenting. 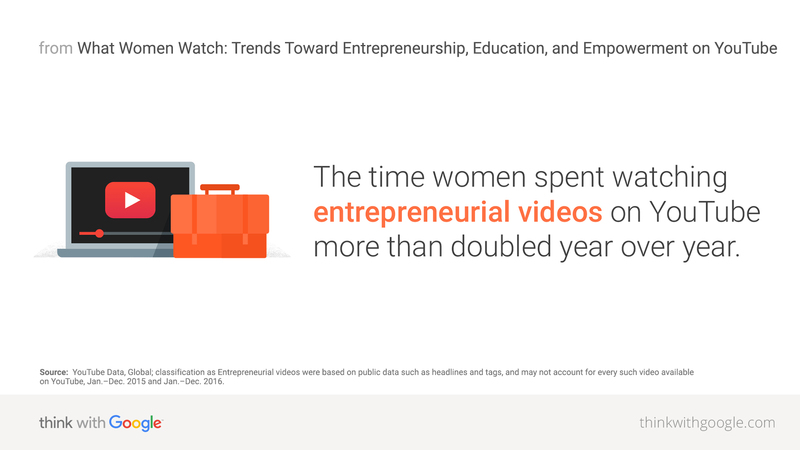 In honor of International Women's Day, Kate Stanford, director of YouTube ads marketing, shares the top trending content among working-age women, and how that reflects the broader shift toward female empowerment. In keeping with that theme, we wanted to understand what women of working age are watching on YouTube and which ads are resonating with them. We uncovered three key trends: a significant increase in watch time of business-focused content; a desire to continue learning outside of work through how-to videos; and a preference for advertising that empowers viewers.